And that’s a wrap! The 2017 National 4-H Dairy Conference saw all sorts of adventures, conversations, and connections. Nearly 200 youth from across the United States gathered in Madison, Wis. October 1 through 4 to advance their knowledge and leadership related to the dairy industry. 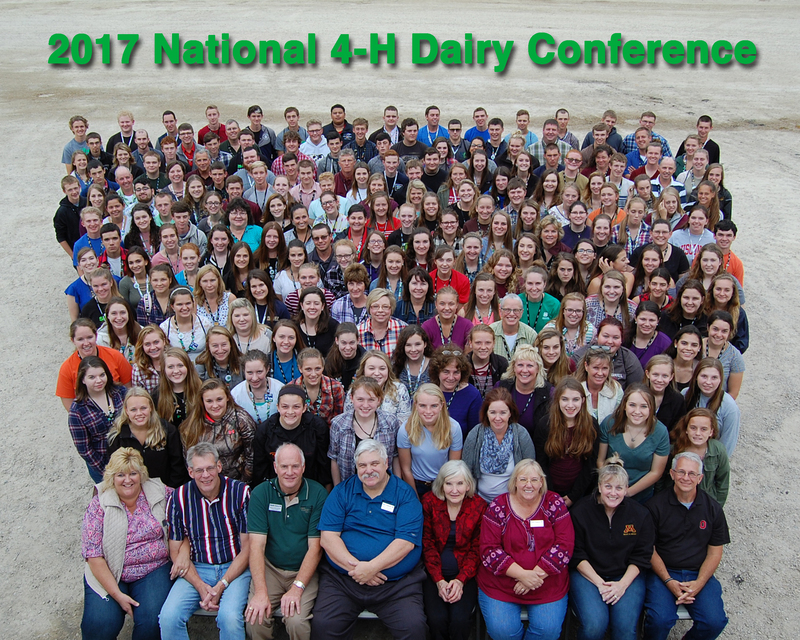 Take a glance through these attendees experiences to discover how National 4-H Dairy Conference changes lives. I remember being in just the fifth grade when an older 4-H member gushed to me about National 4-H Dairy Conference and how wonderful their experience attending the conference was. From that moment on I excitedly anticipated the day it would be my turn to experience it. Little did my fifth grade self know that National 4-H Dairy Conference would be such a defining point in my life. One of my favorite aspects of Dairy Conference is the exposure I was allowed to a multitude of careers in the dairy industry. I also had the opportunity to hear from fantastic speakers talk in depth about the aspects of their respective careers or about the companies which they work for. This experience was invaluable to me because it aided me in deciding what career path I want to pursue in the future. From the start of the event, I was engaged in fun activities, cultivating new and lasting networking opportunities, and learning every step of the way. During the conference, I was given the opportunity to explore successful well-known dairies, one of the leading bull collection facilities in the nation, and the National Dairy Shrine Museum. The most grand stop was by far The World Dairy Expo. For me personally, the most meaningful tour was Hoard’s Dairyman magazine. My passion for publications and journalism made this opportunity all the more special. My time at the National 4-H Dairy Conference was unforgettable. I am beyond thankful for the overall experience and the memories made. I can’t wait to hear the stories from the future attendees. My experience at the National 4-H Dairy Conference was nothing short of amazing. I loved the tours that we went on to places like ABS Global, Hoard’s Dairyman Magazine and Farm, NASCO International, and others. My eyes were opened to many different aspects of the dairy industry that I hadn’t seen before. The dairy industry has held a special place in my heart since I began showing dairy cattle in 4-H when I was in the fourth grade. That love only increased through my time at this conference. I also met many other amazing people who share that same love, and I formed many wonderful friendships with those people. I still look back on my memories from the conference and smile because of all the laughs we shared. Being surrounded by a great group of youth who have a passion for 4-H and for all things dairy was inspirational and increased my hope for the future of the industry.